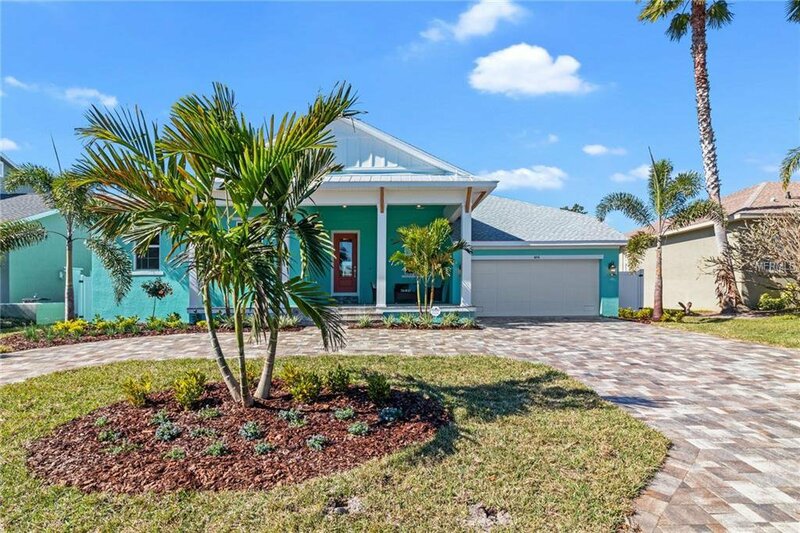 Under Construction: This David Weekley Home offers superior coastal living on the island of Tierra Verde! Surrounded by beautiful water, great fishing, and outdoor adventures just minutes away from Fort De Soto Park. Start living in this luxurious 4/3/3 stunning home offering 2,631 square feet with a spacious footprint that will please the senses. If entertaining or just having a quiet night at home this sanctuary has something for everyone. This chef style kitchen features not only high end energy efficient appliances but soft close drawers, striking cabinets stacked to the ceiling for ample storage, stunning quartz countertops, and a large island for preparing or just visiting with family and friends. Need to catch up on some work, the private enclosed study provides a quiet place away to catch up on all your tasks for the day. Refresh yourself in the glorious saltwater pool surrounded by lush landscaping as you take in the sun soaked days of summer. As the day ends retreat to your own elegant private suite adorned with a large walk in closet, attractive all glass frameless shower, and inviting finishes. At David Weekley we are excited to offer not only a beautifully designed home that is extremely energy efficient, but can also give our homebuyers peace of mind with an excellent warranty program of 1, 2 and 10 years. Don’t wait call today and we would love to schedule a showing! Photos shown are of a similar home. Listing courtesy of WEEKLEY HOMES REALTY COMPANY. Selling Office: COASTAL PROPERTIES GROUP.